This is definitely one of the most interesting markets and one of the most memorable sights for me. 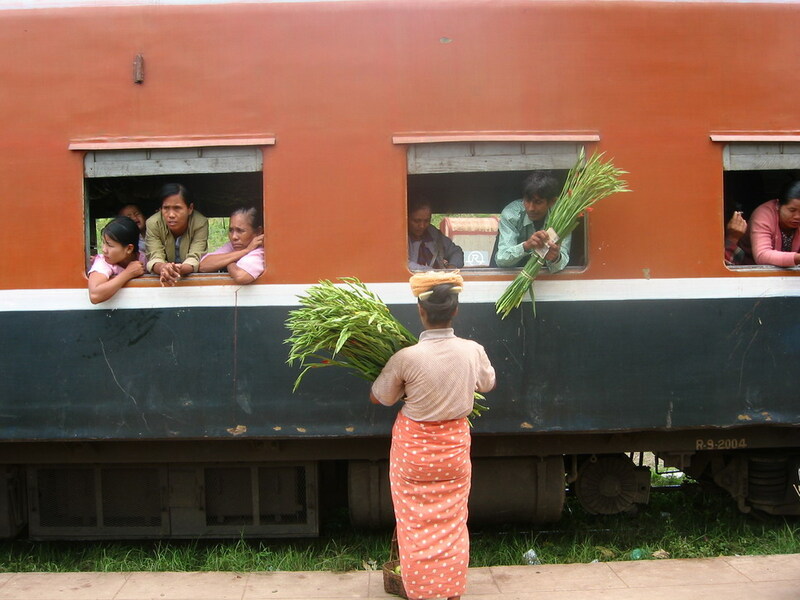 Everyday at noon, the train pulls into old colonial hill station in Kalaw, and for just 10 minutes or so, women traders from the surrounding hillside villages rush to do brisk business by selling off their vegetables, fruits and flowers to the passengers who are heading to Yangon City, where presumably the produce can fetch higher prices. This is the equivalent to old-style floor trading at stock exchanges.